Apalit, PAMPANGA (July 3, 2016) — Praise song titled “Since My Younger Days” bagged the Song of the Year-End title during the A Song of Praise Music Festival Year-End 5775 Finals night held at the ADD Convention Center, Apalit Pampanga. Composed by Bro. Nonie Ramos and Bro. Pabemazar Atienza of New Jersey, USA – North America Division, the song triumphed in the Church-exclusive ASOP event. The winning entry was sung by first-time ASOP interpreter Sis. Krystal Cruz. “I Sing My Heart To You,” a praise song composed by Sis. Marje Pelayo of Singapore – Asia/Oceania Division, won the 1st Runner Up prize, as interpreted by Sis. Marianne Liwanag. Two entries took home the 2nd Runner Up prize — the first of which is a Kapampangan praise song titled “Kapatad Kung Tune” (My True Brother) composed by Bro. Juanito Dimalanta from Pampanga Division and interpreted by Sis. Patricia Guiao. “Pagibig na Wagas” (Eternal Love), composed by Sis. Loida Del Rosario of Brazil, South America Division and interpreted by Bro. Nestor Torres, completed the winning pair. Incidentally, Bro. Nestor Torres won the Best Interpreter award for the evening. The 3rd Runner Up prize was awarded to the praise song titled “Dahil Sa’Yo” (Because of You), composed and interpreted by Bro. Anton Estrella Jr. of NCR, Luzon Division. Overall Servants to MCGI Bro. Eli Soriano and Bro. 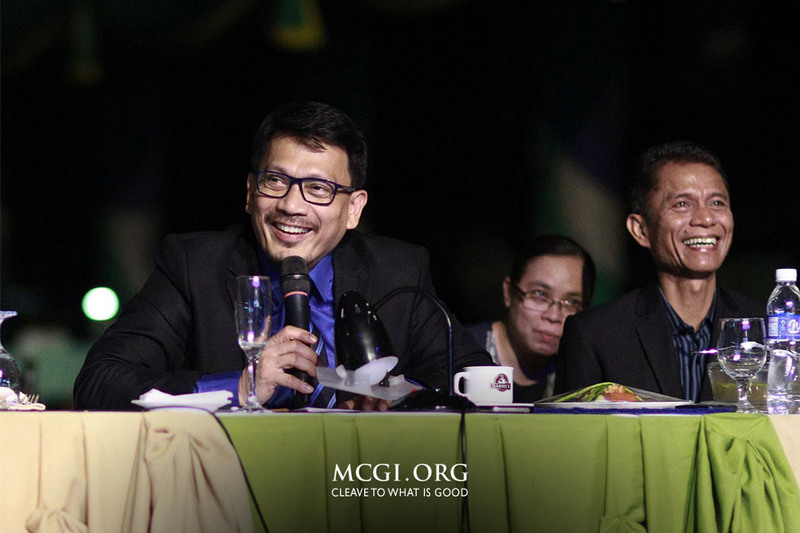 Daniel Razon spearheaded the judging of the song entries and provided useful songwriting and biblical takeaways for the participants and the audiences alike. The preachers commented on the technical aspect of each entry, encouraging the composers to better improve their craft. “The lyrics and the melody may be better improved to make the song really ‘take off’, as composers say,” commented Bro. Daniel on one of the competition’s entries. Songwriters must also avoid writing lyrics that are too lengthy, according to Bro. Soriano, presenting the Bible as a good example. “The Bible is written in full brevity. If there are repetitions written in the Bible, it is just to emphasize something very important,” stated Bro. Eli, citing Psalms 136:1-7. Bro. Eli and Bro. Daniel emphasized on the more important spiritual content of each entry. “A good song must have something to think about — something to ponder. A good song must have wisdom,” noted Bro. Eli. “The power of a song of praise can open the heart of the Creator of heaven and earth,” added Bro. Eli, which the crowd at the ADD Convention Center in Apalit, Pampanga welcomed with applause. Meanwhile, Bro. Daniel reminded the composers of an important task they must do before creating praise songs. “Composing songs of praise to God is something that we must prepare for. 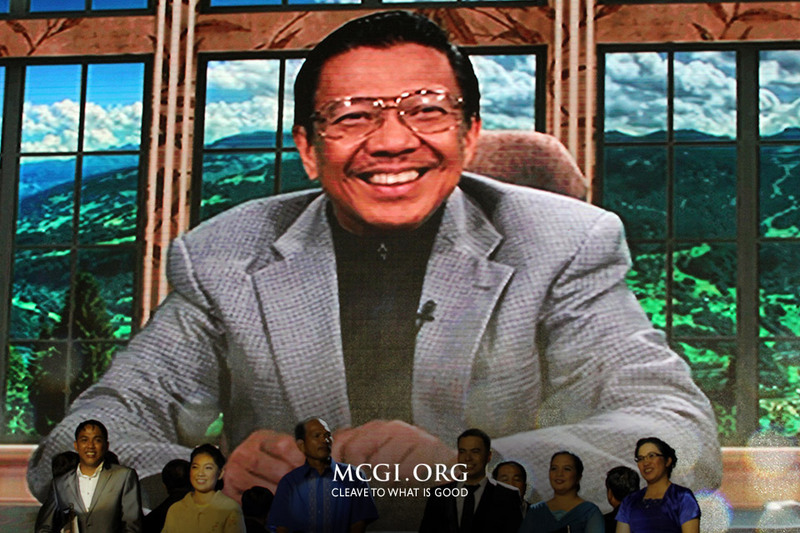 Let us always seek God’s help. Let us not rely on our own understanding,” stated Bro. Daniel. Before announcing the evening’s grand winners, Bro. Daniel inspired the attendees to continue creating songs of praise to God. “Thanks be to God for brethren like all of you, who are always in support of events like these,” remarked Bro. Daniel. This year, Bro. Eli and Bro. Daniel gave the following cash prizes: PhP 100,000.00 for the Song of the Year-End, PhP 50,000.00 for the 1st Runner Up, PhP 30,000.00 each for the 2nd Runners Up, and PhP 20,000.00 for the 3rd Runner Up, respectively. Consolation prizes of PhP 10,000.00 were also given out to the rest of the participants, as well as PhP 5,000.00 for the Best Interpreter award. Composer and Interpreter: Bro. Anton Estrella Jr.
View more photos of the A Song of Praise Music Festival Year-End 5775 Finals here.